Life’s life. It all ends the same way, but the paths we take of life’s journey is a choice that is up to us to chose. Oops, sorry God, I’m the one blindfolded and you’re the one guiding me; it sure hurts when I hit those walls. 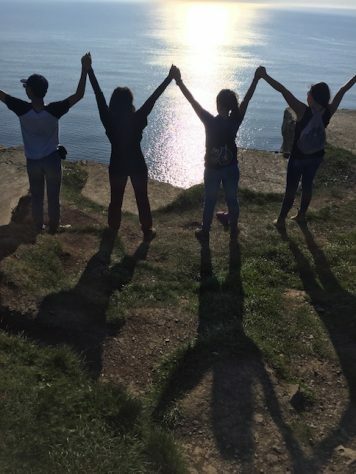 Throughout this one year journey, I have learned much about travel and grown in my family relationship. Most importantly, I found my identity in Christ through His love for me. God’s love for me changed my whole being. Through this one year journey I found my identity rooted in Christ. We are all people born unto this world, all searching for the same thing– meaning and identity. Identity is given through three main ways: family, occupation, and people telling you who you are and what you aren’t. When I was born, my identity was already thrown in a blender with three passports in my hand: US, Canada, and Taiwan. Just to put a cherry on the top I don’t live in any of the three passport countries, I live in mainland China! People are always putting labels on each other–nationality, ethnicity, and culture. For me growing up as a TCK I don’t even know what nationality I am or my own identity, I just live on this planet. The only label I chose for myself is TCK, Third Cultural Kid, growing up in two cultures but belonging to neither. 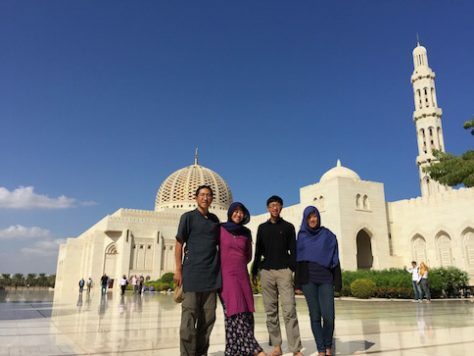 Visiting the Grand Mosque in Muscat, Oman gave us a better understand of the Islamic Culture. On this one year journey I have been bombarded by cultures, religion, and secularism, all trying to direct people’s identity telling me who I am and what to do. God has always been there for me, I found my identity when I was in the Holy Land Israel and the ruined city of Sodom and Gomorra. I listened and learned of the world offered: Buddhism, Sikhism, Hinduism, Islam, Judaism, Christianity, and Secularism. Many times I have seen people treat Christianity as a culture, a religion with rules and customs of praying to this and that saint; countless times I have left my love for God and followed my own pursuit of desire and folly, eventually finding myself devoid and empty, a slave to addiction. It was a combination of all these things that I experienced on this trip that I learned that the world is so messed up beyond repair, that my life without God would just end up like the world: broken and empty, a blind man on an endless search for something he can’t even see. Through all this I felt the Lord speak to me: I love you and the people of this broken world, through my love all things will be restored and free. This is what I base my identity on– God’s love for me, and He showed this to me through traveling with my family. Traveling for one year with your family as a teenager is extremely difficult. A man goes through many stages of life, a boy, a teenager, and a man. 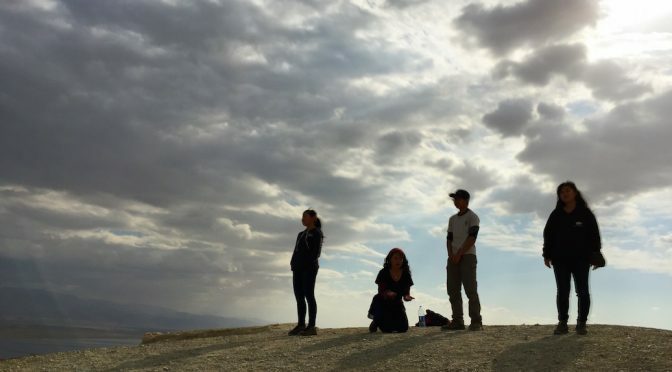 I am currently at the teenage stage traveling along the Silk Road for one year. What stage is that? A bad stage to hit puberty. Oh yes–moody attitudes, getting annoyed and nasty more easily, fighting and arguing over trivial matters, living with 2 sisters with no space. So, when you put all these ingredients and blend it into a milkshake you get me, the guy whose essay that your are reading right now. 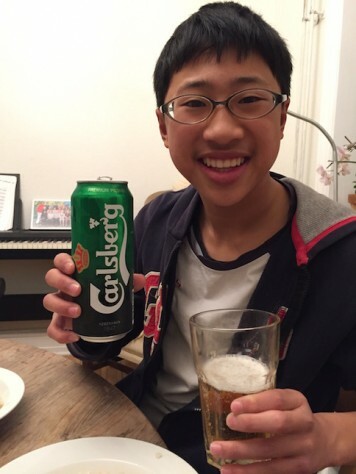 Can’t leave Copenhagen without trying the world famous Carlsberg beer. Normally you would think that traveling is fun, but let me make it clear that traveling is different from vacations. A vacation is an American Dream- spas, resorts, and beaches, built with the sole purpose of relaxation and entertainment. Traveling on the other hand, is to objectively throw yourself into a bathtub full of new culture, experience, and beauty; dousing yourself water that would open one’s eye. Traveling is a journey, an adventure that becomes a lifestyle. 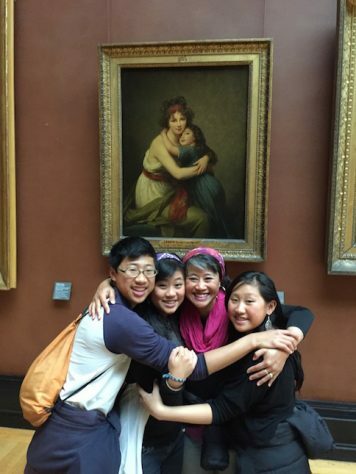 So, what makes traveling with family so difficult? Recall all the things you don’t like about your family and put it in one box, in that box contains you, your family, and little space for yourself for 24/7. Yes, that is why very few families travel together as one, let alone one year. 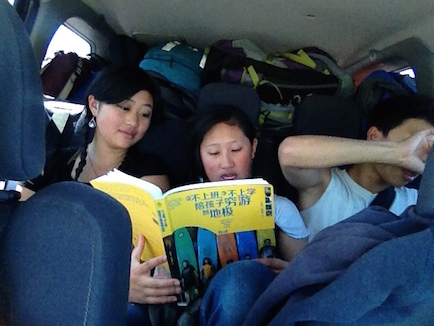 Olivia, Joani, and Nathan had a tough time squeezing with each other in the back of the car for hours. Hey, I did travel for one year with my family, it’s like taking a swim in the cold icy waters: it’s horrible in the beginning when you dip in, but with every stroke you take, it gets better. The more you swim, the longer you last in the waters. Swimming in the cold waters is not easy, but who would do it in the first place? Let’s just say God planned it. If it was not for Him I would not be traveling for one year with my family or writing this essay. The first 2 months on the road nothing in my family relationship changed, despite being together everyday on the road we still managed to stay in our own bubble. My bubble was homework, my Dad’s bubble was blogging and planning, my Mom’s bubble is Facebook, Joani’s bubble was TV shows, and poor Olivia was trying to break everyone out of their bubbles by herself. What made my family change despite following the same pattern after 2 months? It is God’s love. Despite sleeping five people in one small tent, we had many fun memories of our time inside. Without God’s love my family would not be together, without Jesus there would not be me. Those closest to you are the ones who hurt you the most. Those who love you the most are the ones most neglected. How blind can we be? Well, I made that blunder. We all make that blunder as well, but God and His love for us helps us to take off our blind folds to see the new world, a world filled with light. We are a creature of habit, if we do not love each other, nothing will change. Posing inside the Louvre, Paris. What changed my family then? God’s love, without His love my family will no longer be here today. I love God, and each of my family loves God. It is because He loved me first which is why I live for him. How do you love God? Start loving your family. It is written in the Bible that how can you say you love God when you can’t love your own brother? (“If someone says, “I love God,” and hates his brother, he is a liar; for the one who does not love his brother whom he has seen, cannot love God whom he has not seen.”1 John 4:20) Let’s just say the God got a point, and He knows me a lot more than I do myself. We humans take initiatives, but it is God who carries us to the end. 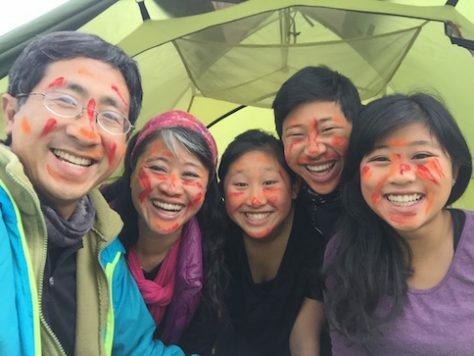 My parents and my sisters took initiatives to start reconnecting again to grow as a family after a breakdown in India, and now God is still at work to this very day. 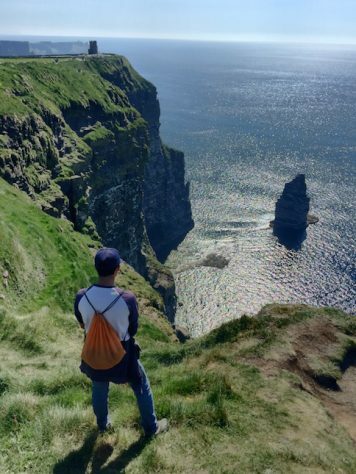 Adoring the sunset at the Cliff of Moher, Ireland. God’s love for me changed my whole being. People ask how do I manage to travel with my family everyday? My answer is God’s love. If I did not love God, I can’t love my family. It’s sad to live in a stranger’s house and not know every person. It’s more heartbreaking when those strangers are whom you call family. God loves me, and He wants to bring His love for me through my family, and that love overflows endlessly. This is what I learned about God’s love. Keep it in your heart and share it like its free, because God’s love is for all. 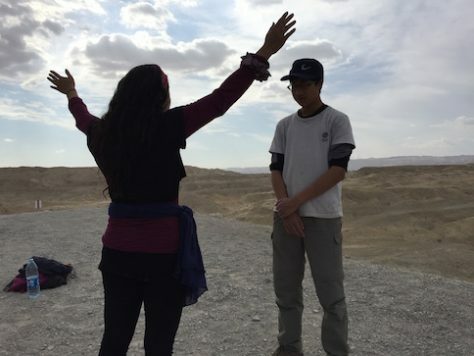 On the salt mountain of Sodom and Gomorrah, we prayed for the Nation of Israel. I love reading this, Nathan. Your knowledge of God’s love for you and for all creatures delights my heart more than anything else could. You have a gift of writing and making this love of God clear to others. Your one year reflection is very unique. You have become different person compare to who you were one year ago. Very nice writing and reflection, Nathan!